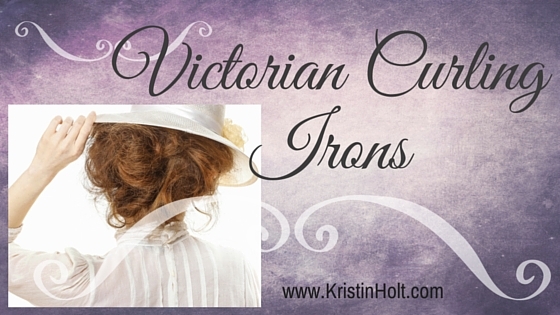 In two recent posts, we’ve taken a peek at women’s hairstyles of the Victorian Era, specifically the 1890’s, where cutting bangs to curl about the forehead was fashionable and frequently noted in magazines, newspapers, and cabinet card (photographs) of the era. 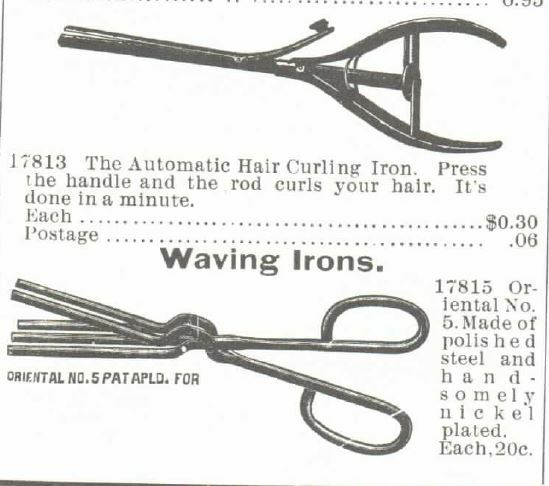 My most recent post showed the hair pieces for sale (1895 and 1897) in the Montgomery, Ward & Co. catalog and the Sears & Roebuck Catalog. 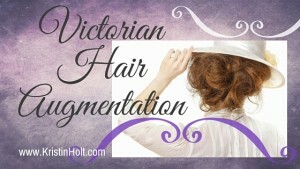 This ease of purchase made it simple for a woman who didn’t want to cut her hair–a true work of a lifetime–but desired to appear fashionable. 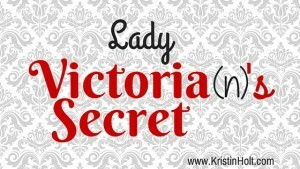 Every female of this generation (and every generation in between) understands that vanity. 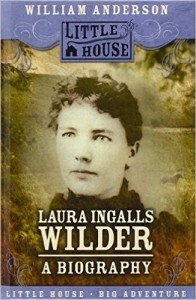 Note: this photograph of Laura Ingalls Wilder on the book cover of a nonfiction bigraphy illustrates Laura’s hair with bangs cut and curled on the forehead. 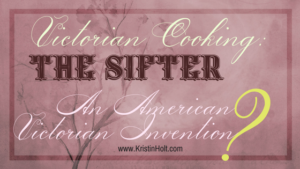 I remember reading one of Laura Ingalls Wilder’s books wherein she shares her growing up during the frontier years of American history. 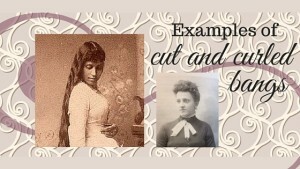 In one of the later books, covering the years when she, Laura, came of age, she related the desire to cut bangs and to then curl them, in keeping with the style of her day. Her mother fought against the idea, urging her daughter to maintain the more classic long-all-over hair that never went out of style. Laura heated rods on the stove to then apply to her cut bangs to curl them. Do you remember reading that part of Laura’s growing-up years? 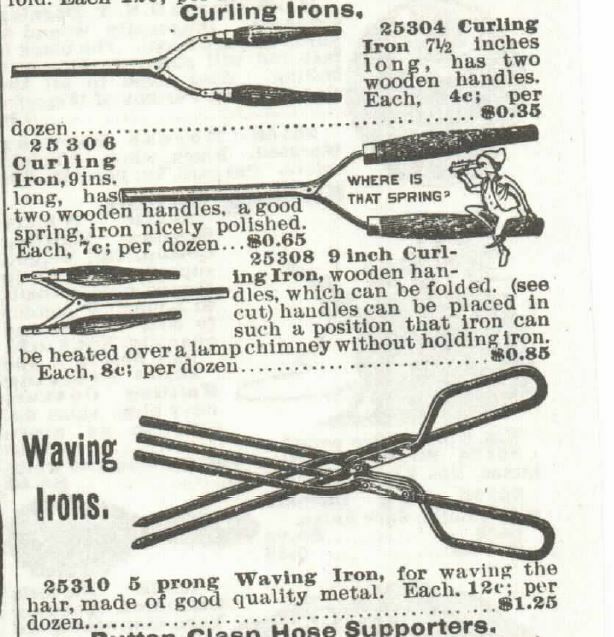 Curling irons were available in the Sears, Roebuck & Co. 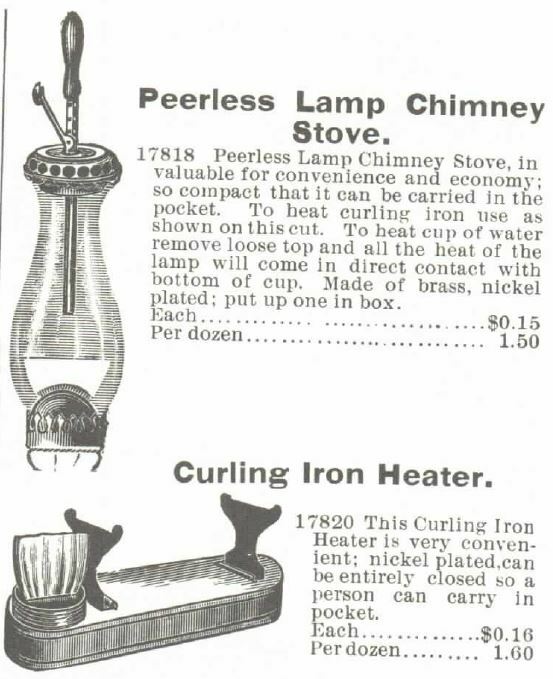 Catalog as well as in the Montgomery, Ward & Co. Catalog. Just in the 1897 and 1895 editions, respectively, the following basic designs were available for sale. Montgomery Ward no. 57, Spring and Summer of 1895. 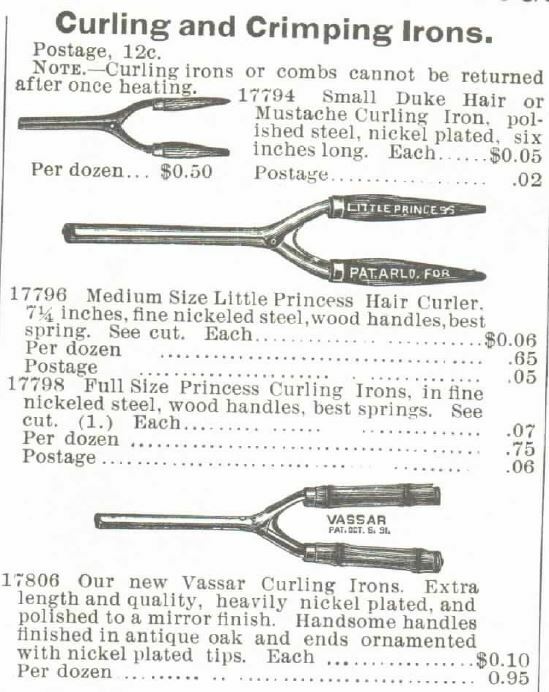 Sears Catalog no. 104, 1897 , p 334. Sears Catalog no. 104, 1897. 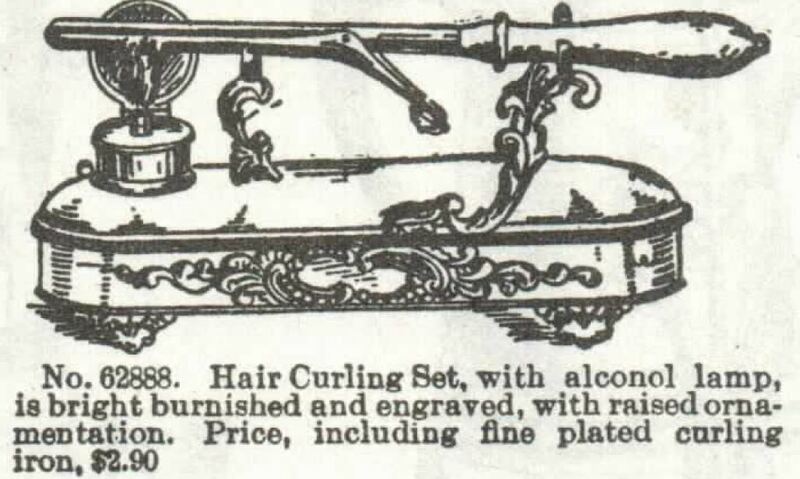 Curling Irons sold by Marshall Fields Catalog, 1896.